Hi Sharon! So glad to hear your story and that you have had success in fitness and with my workouts! Keep up the amazing work…and yes it is completely awesome that you have a ballet barre in you basement : ) beyond perfect. Keep an eye out for a new barre workout coming soon in the new year! 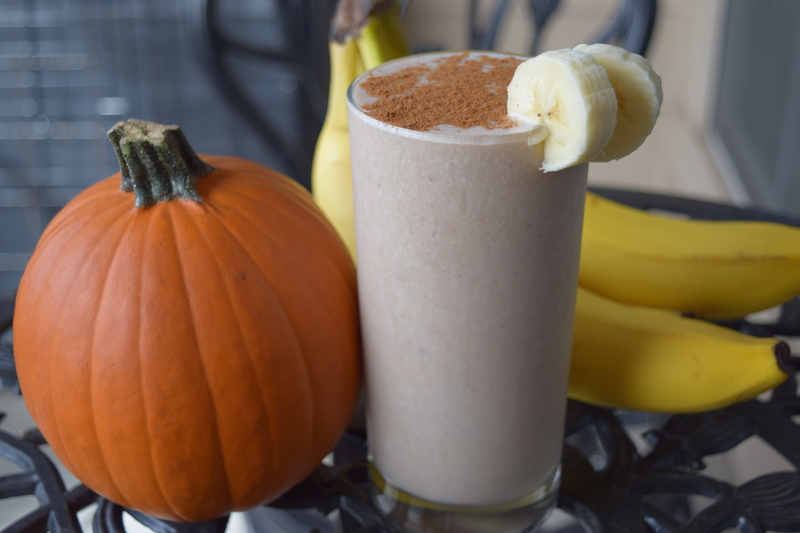 Blend protein powder, banana, almond milk, maple syrup and spices together. Next add ice or additional almond milk to desired taste and consistency.